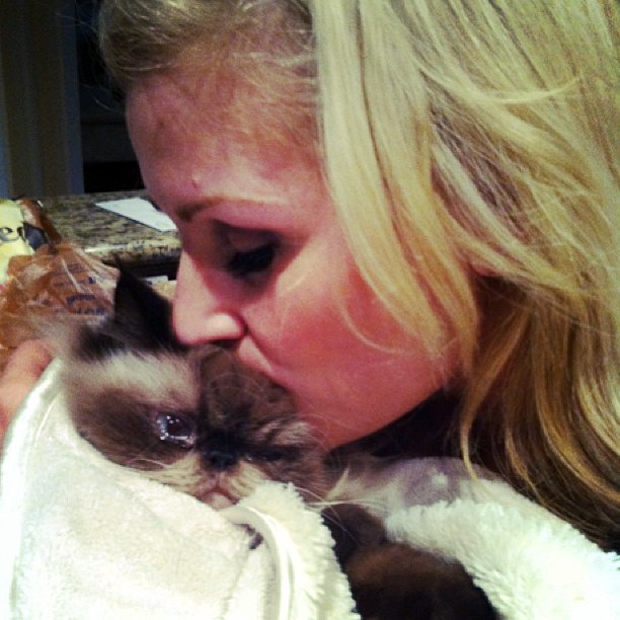 Sad news hit the internet this afternoon when Natalya announced via Twitter that her beloved cat Gismo had passed away. The feline, who had a constant presence in her tweets and was featured in the latest episode of Total Divas, died from an undisclosed illness. As a lifelong pet owner, this definitely had me wiping away tears, but I’m glad to see Natalya looking at it in a positive way. And, at the end of the day, the response on Twitter really says it all: Gismo was very loved.